their Christian love through ministries of service to those in need throughout God’s world. Days for Girls empowers days of education, health, safety, and dignity. We do this by direct distribution of sustainable feminine hygiene kits by partnering with nonprofits, groups and organizations, by raising awareness, and importantly, by helping impoverished communities start their own programs to supply kits and training. Together with our network of thousands of exceptional volunteers and partners, we have reached tens of thousands of girls and women in over 60 nations on 6 continents and counting. It's working. How can Women of the ELCA help? Your unit can make the feminine hygiene kits or provide money to local or state Days for Girls chapters for the purchase of materials to make kits. Currently there is a Georgia chapter in Atlanta and a Tennessee chapter in Nashville. For more information and to contact these or other chapters, check their website at www.daysforgirls.org/. They also have a Facebook page. The purpose of Katie’s Fund is to provide similar assurance for the future of Women of the ELCA’s efforts in the area of global sharing, leadership development, and living theology. With income from the invested fund, Women of the ELCA will continue to enhance global partnerships, increase multicultural awareness, enhance organizational participation, and nurture growth in faith. 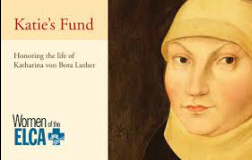 It is the goal of the Southeastern Synod Women of the ELCA to continue to support Katie’s Fund with our financial gifts and offerings, our hard work, and our prayers. During the 2013 convention in September we will make a special effort to raise money for Katie’s Fund. For more information contact the Women of the ELCA at 800-638-3522, ext. 2730 or www.womenoftheelca.org. Lutheran Services of Tennessee - Please contact Ellen at 615-331-3453 or LSTofficemail@bellsouth.net. Lutheran Services of Georgia - Please contact Melanie Johnson at 678-686-9619 or mjohnson@lsga.org. Those shiny pull tabs from soup cans, soda cans, and pet food cans are valuable. Instead of just throwing them away, they can raise money for Ronald McDonald House Charities. Statistics tell us there are now more than 265 Ronald McDonald Houses in 24 countries. We have nine Ronald McDonald Houses in the Southeastern Synod that participate in the pop tab program: two in Alabama, three in Georgia, and four in Tennessee. You can deliver tabs throughout the year to the location closest to you or bring them to the annual convention. Visit their website at www.rmhc.org/ for more information. Imagine the look on a child’s face when he/she opens a shoe box filled with Christmas goodies. 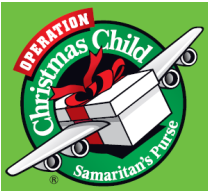 It is through our continued support of Operation Christmas Child sponsored by Samaritan’s Purse that we can share the love of Jesus Christ with hurting children around the world. Simply fill a shoe box with a variety of gifts that will bring delight to a child. Toys, games, clothing, school supplies, and personal care items are always welcome. There are 6 categories to choose from: 2-4 year old girl, 2-4 year old boy, 5-9 year old girl, 5-9 year old boy, 10-14 year old girl, and 10-14 year old boy. Samaritan’s Purse has asked our organization to promote boxes for boys 2-4 and boys 10-14. You should wrap the shoe box in Christmas paper, just be sure to wrap the tops separately. Each box should have a label taped to the top that denotes if it is for a girl or a boy, and the age category indicated. You can find the “official” labels on their web site to print off and use. The last thing to do to get your shoe box ready is to place a rubber band around each shoe box to hold the lid on. Each donor is asked to place $7 in an envelope inside the shoe box, on top of your gift items to help cover the shipping costs. See www.samaritanspurse.org for more info. For synodical and churchwide resources on action and stewardship, please see the tab at the top of the page. As a community of women created in the image of God, called to discipleship in Jesus Christ, and empowered by the Holy Spirit,we commit ourselves to grow in faith, affirm our gifts, support one another in our callings, engage in ministry and action, and promote healing and wholeness in the church, the society, and the world.